Story: Set in a fantasy world filled with ogres, giants and wicked stepsisters, this is the story of Ella of Frell, a young woman who is given the "gift of obedience" by a fairy. She soon learns that it's more of a curse when she is often left at the mercy of unscrupulous people. 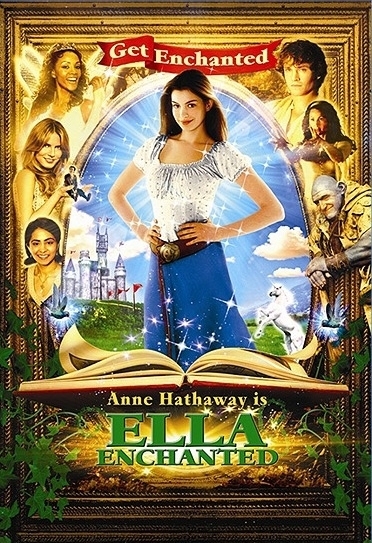 Ella goes on a quest to free herself from the curse that threatens to separate her from her true love, Prince Charmont. Can Ella break the curse in time to live happily ever after?